Design a marketing plan that allows you to generate clients and live your life of freedom through a business that is profitable. Mary Cravets is a highly-sought after Business Development Expert and International Speaker. 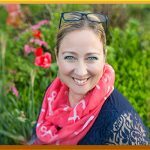 Groomed in Silicon Valley, she teaches busy entrepreneurs how to attract more high-end clients so they can significantly grow their business without working nights and weekends. Using her methods, the majority of her clients quickly increase their income by 50-100%. 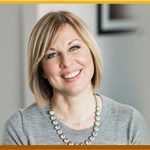 With equal measures of structure and humor, she provides highly interactive workshop-style presentations that show participants how to get out of marketing overwhelm, so they’re not just inspired, but actually equipped to grow their business with simple, customized strategies they can implement immediately. – How to create your client generation plan without going broke. – Why you need to be spending your time doing what you are good at. – Mary shares with you her powerful magnetic message, you are going to want to steal this. – Find out about Marys’ powerful systems such as “The value-driven profit plan”. The first chapter of her book “Smile When They Call You Sleazy: Strategy & Encouragement for the Impact-Driven Entrepreneur”.